China has successfully launched its Tiangong-2 laboratory into space, apparently taking a number of grape vines with it as part of a unique experiment to test the effects of space radiation on wine production. China’s newest space laboratory, Tiangong-2, blasted off last week. Among its cargo, according to Decanter China, was a selection of Cabernet Sauvignon, Merlot and Pinot Noir vines. Chinese scientists are said to be looking to test the effects of space radiation and zero gravity on grape vines, speculating that time spent in space could trigger mutations to help them better withstand some of China’s most extreme wine regions. One of China’s most prominent and newly emerging wine regions is Ningxia, which has a continental climate but a temperature variation of between 27°C and −14°C. It is home to China’s first official wine classification system, introduced this year to control the quality of wines produced in the region. The country also produces wine in the Gobi desert, where vines are buried beneath the sand during the winter to protect them from its extreme climate. Temperatures can range from −40°C to 50°C (122 °F) in the summer, with rapid temperature changes by as much as 35°C within a 24 hour period. What’s more, the region receives on average just 8 inches of rain a year, with winemakers relying on the nearby Yellow River for irrigation. On a more positive note, a lack of rain and extreme temperatures means there is no disease or rot to contend with, making the production of organic wines relatively easy. 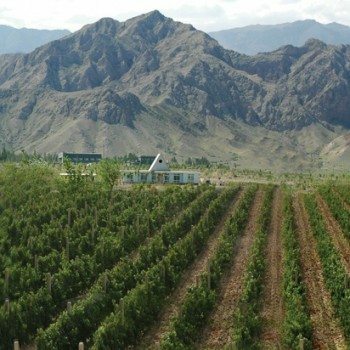 Ningxia: a fine wine region of the future? 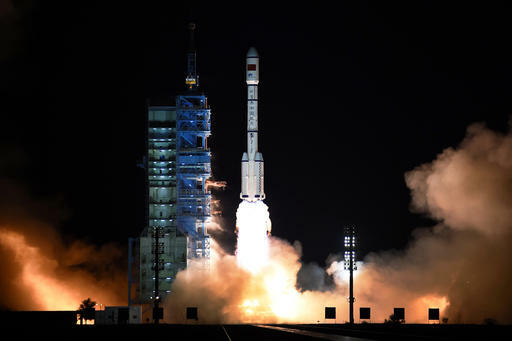 The Tiangong 2 was carried into space on Thursday, 15 September, from the Jiuquan Satellite Launch Center on the edge of the Gobi Desert in northern China. The Shenzhou 11 spacecraft, which will carry two astronauts and dock with Tiangong 2, will be launched sometime next month. The pair are expected to remain on board for a month to carry out numerous experiments. The space vines are expected to be compared with control vines on earth in order to find the most “suitable mutation” for China’s numerous wine regions. The station, whose name means ‘Heavenly Palace,’ is considered a stepping stone to China’s ambition to launch a mission to Mars by the end of the decade.